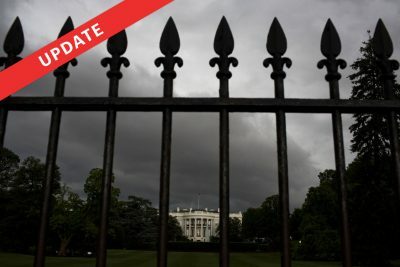 Thanks to your help, we've found many previously unannounced Trump White House hires, including a longtime member of an anti-ACLU group and an ex-Washington Times columnist. Mike Roman, a longtime Republican opposition researcher who worked for billionaire brothers Charles and David Koch before joining the Trump campaign, is now the White House’s director of special projects and research. He is one of a half-dozen unannounced hires the White House has made since President Trump took office. Roman, who led the Kochs’ surveillance and intelligence-gathering unit before it was disbanded in April 2016, is best known for promoting a video showing members of the New Black Panthers allegedly intimidating voters outside a Philadelphia polling place in 2008. That controversial video of two men yelling racial slurs led to infighting and political recriminations inside the Justice Department and became a flash point for conservative media. Roman, who made roughly $246,000 in salary from the Koch-backed Freedom Partners, according to his financial disclosure, was also a contributor to the conservative news site Breitbart and was tapped to run Trump's “election protection” poll-watching efforts this November. He did not respond to ProPublica’s requests for comment. His new White House position was only made public after we asked you to help us find the names of current White House staffers who meet the salary and job title criteria for filing disclosures. Last month, the White House counsel’s office said it would release staffers’ financial disclosures upon request. But there was a catch: To get disclosure forms, you first had to know staffers’ names — and the White House hasn’t actually released the names of all those who are on staff. So we and the public were left guessing about who had filed disclosures. Working with The New York Times and the Associated Press, we quickly found and posted most of them. Sean Doocey, the White House’s deputy director of presidential personnel and a special assistant to the president, worked as the director of research for Trump’s campaign and as director of human resources and security at Barbaricum, a Washington, D.C.-based consulting firm. He was also a gatekeeper for the Trump transition team. Doocey, Mashburn and Roman were appointed on Inauguration Day and Goldschmidt was appointed Jan. 24. Sadler’s appointment date was not disclosed. Reached by phone, Doocey confirmed his appointment and declined further comment. Goldschmidt, Mashburn, Matich and Sadler did not respond to ProPublica’s requests for comment. Ariana is an engagement editor and reporter at ProPublica, where she works to cultivate communities to inform our coverage.